Paper prints are a great, affordable way to decorate your space. Printed on Kodak Endura or Fujicolor Crystal Archive photo paper, these prints come from trusted print labs in New York, Florida, and California. All prints are provided with a Luster or Metallic finish as described on the product 's page. Luster is the best combination of matte and glossy, and photos delivered with a Metallic Finish have an extra shine to them that will catch your eye as you enter a room. You'll want to have a frame ready to display your print, or a backing board ready to mount your print. The 1.5" Gallery wrapped canvas provides a rich, vibrant color. It's lighter than acrylic or metal in larger sizes, and easy to hang. 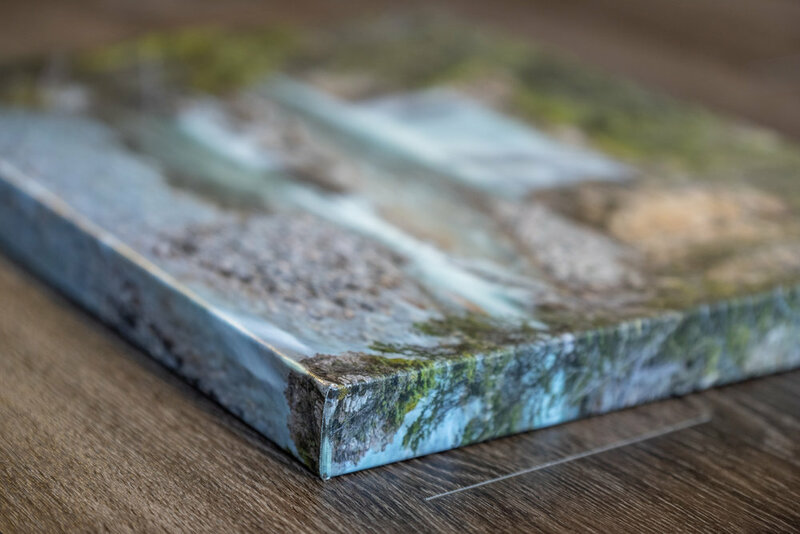 Canvases don't required additional frames, they are durable, and stand out from the wall for a 3D effect. Gallery Canvas Prints are produced through trusted print labs in New York, Maryland, Florida, Idaho and California. Printing on metal provides the most vibrant, luminescent colors possible. Printed on solid, lightweight aluminum with a high gloss finish, metal prints are very durable, easy to handle and mount. Metal prints are shipped with a french cleat mount to give a 3D effect from the wall. You'll want a drill to mount the cleat properly; no other accessories or frames are required. Metal Prints are produced through trusted print labs in New York, Maryland, Florida, and California. Create an eye popping addition to your space with an image printed on professional grade 3/16" (5mm) sheet of Acrylic Glass. Mounted with a french cleat to stand out from the wall, Acrylic prints make a statement and last forever. They are scratch, dust, and UV resistant, and suitable to hang indoors or outdoors. You'll want a drill to mount the cleat properly; no other accessories or frames are required. Acrylic Prints are produced through trusted print labs in New York, Florida, and California.